Truth time! Honestly, what do you guys think? These are the pair that I chose; I'm really excited about them and will definitely wear them more often. It's a pair that I'm comfortable with and actually proud to wear! I think they're really suitable for my features and look great with any outfit. I chose a boho take on grunge for them, hope you enjoy the pictures below! I chose to wear my favourite item at the moment, the awesome studded jacket which I also wore previously. This time I styled it with a midi skirt, black ankle boots and a crop top for a more 90s feel. The duffle bag is also a piece that I love, it's bought from a vintage fair and thought it works really wear with the outfit. Aaand Andrei making me laugh like crazy of course. I'm wearing an ASOS studded jacket, Miss Selfridge skirt (sold out), vintage duffle bag (similar), ASOS chelsea ankle boots and a basic crop top from ASOS. I also have a surprise for you lovelies! So guys, I highly recommend Firmoo and their amazing glasses! I couldn't be more happy about them. If you'd like the opportunity to cooperate with them simply follow this link for details. Hope you enjoyed my review and post, would love to hear your feedback; cannot wait to read your comments! Hope you are having a wonderful day! LOVE that leather jacket! Amazing. You look good in glasses. Funny coincidence, I booked an eye test today because my eyesight has got worse and my old glasses don't do the trick. I was thinking of going for a 'geekier' frame too! this outfit is so cute! 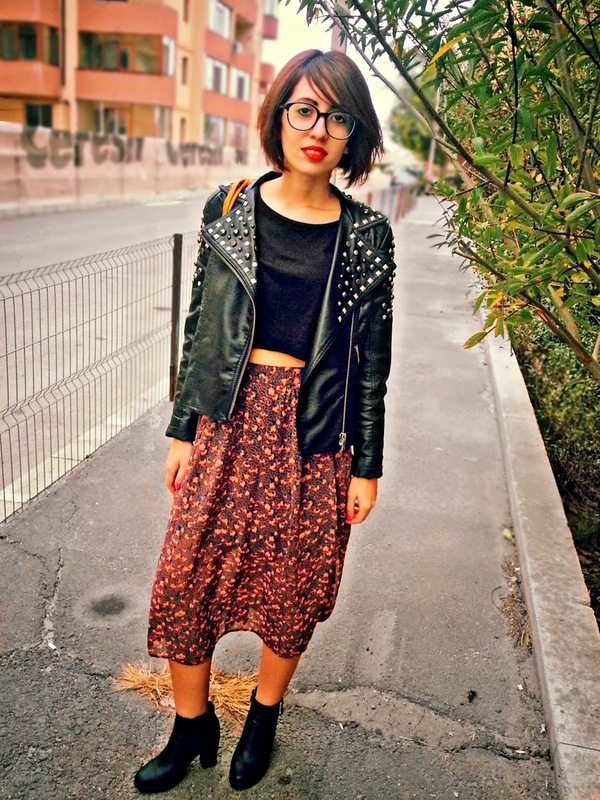 love the glasses, they go so well with the skirt and jacket! I follow on Bloglovin as Lindsay McCain. I'm always using the fact that I can't see to get unique glasses for my style. Cray Cray for the leather jacket!!!!!!! Great outfit dear, I love the jacket!! you look gorgeous in glasses! Adorable glasses! They look great on you. You look adorable my dear!!!! Lovely glasses!!!! Love it ,you look amazing! 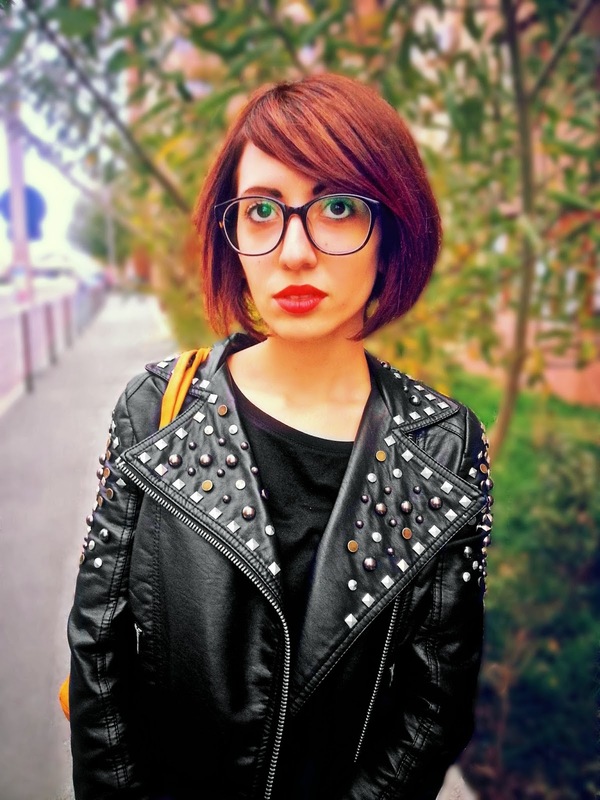 Liana, you've got such unique and interesting facial features, along with a great style! I'm a new follower :) If you're interested you may follow me as well, in the meantime I look forward to reading more! 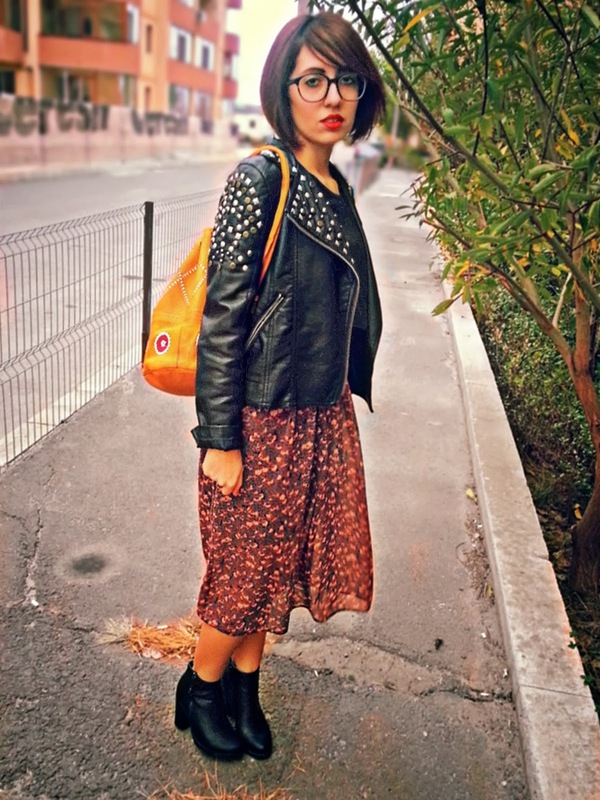 I love your fabulously styled outfit, the jacket is so chic, wonderfully paired with the printed skirt. The glasses look great! Great look, love your jacket! Maybe we could follow each other? I would love to stay in touch! Thanks for visiting my blog and for your support! Just followed you back! You look great! Those glasses look amazing on you! I absolutely love your skirt and how you paired it with that studded jacket!! Wow! You look so lovely! I love this jacket. Tnx for your lovely words Liana, I really appreciated them!!!! A lot of Kisses from Italy! 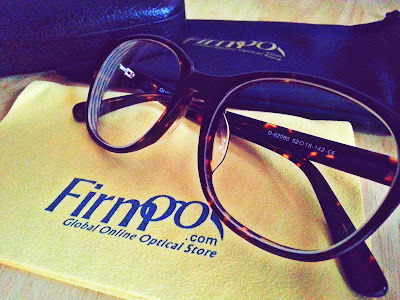 I have my Firmoo glasses already, and I've got to say your eyewear is fabulous as well! Nice choice, dear! Those photographs are adorable! Followed you already, follow me back, please! I love the glasses! But unfortunatly I don't wear them:( But I am following you! Would you like to check out my blog? Love your outfit, so cool! aww you look absolutely beautiful! Such a nice blog and post! Amazing give away! Come and have a look at my new post if you want ? I love ur leather jacket!! Tnx for stopping by, kisses my dear!!!! 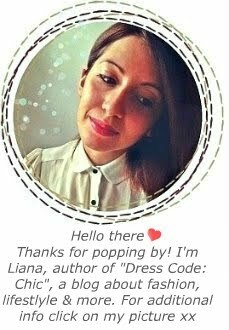 You look so pretty, dear Liana!!! 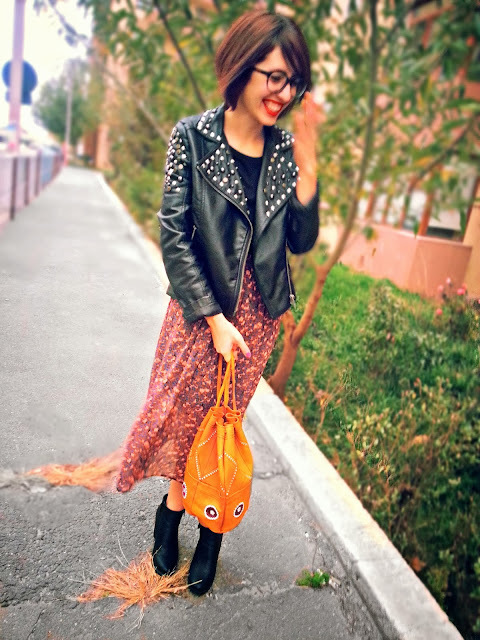 wow, so cool style , I have always be loving such style a coat , looks quite fashion , isn't it ? have a nice day dear, #%$#%@@! OMG I want that jacket! Those glasses were a great choice and I really love your hair! Wow! Very nice jacket! This hairstyle suits you! 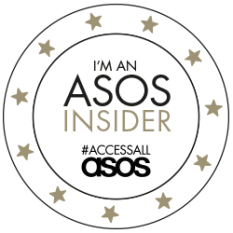 Amazing blog I’m following you here and on all your socials! Thank you so much for your lovely comment on my blog dear, and for following me. you look so cute! i love your midi skirt. i'm supposed to wear my glasses all of the time too, but i like myself better without them. it definitely helps when you like the pair you have! Sounds like a really great deal! and the glasses you got a really nice!